Ghosts can be a source of both scares and laughs. 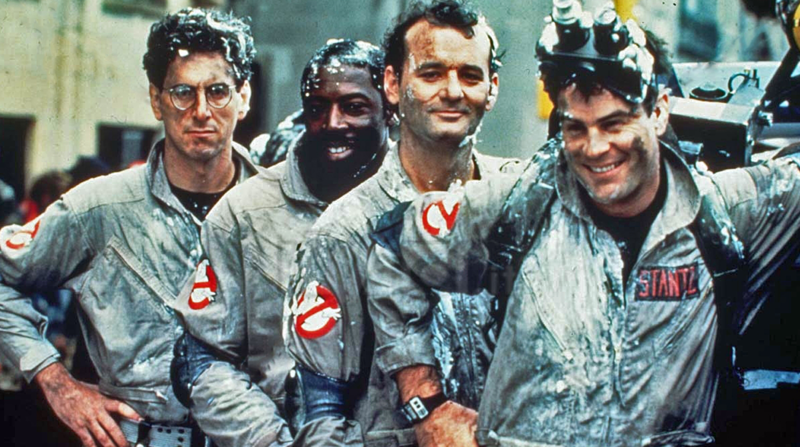 Ghostbusters certainly proves this, very much favouring the latter, with plenty of kid-friendly scares along the way. With the central intention of bringing humour to a concept that is almost inherently scary, the end result turns out to be one of the all-time greatest comedies, with some career best performances from the likes of Bill Murray and Dan Akroyd. This Spanish film sees a woman named Laura return to her childhood home, along with her family. We soon learn that this childhood home was an orphanage, and soon enough Laura’s son is making friends with what seems to be the ghost of one of the orphans. From here, we follow Laura as she tries to piece together the mystery behind the house. The confident development of this character is vital, as she carries much of the film. The Orphanage is very much slow-burn horror, with the horror tending to come from the film’s general atmosphere as opposed to individually crafted scares. After getting the job of looking after two children in their mansion estate, Deborah Kerr’s Miss Giddens begins to fear that the house is haunted. This beautifully shot horror film from 1961 creates a very unsettling atmosphere that doesn’t let up, with some wonderfully creepy child performances. The film also features some very dark but subtle sexual undertones, in relation to the children and their previous carers, whom Miss Giddens believes to now be haunting the mansion. The Innocents is an extremely influential work when it comes to the haunted house genre, including some of the other films on this list. Certainly the most heavily influenced by The Innocents is Alejandro Amenábar’s The Others, a film about a woman, with two photosensitive children, who becomes convinced that her home is haunted. Like The Innocents, this film features beautiful cinematography, a strong focus on atmosphere, two not quite right children, and a woman trying to figure it all out. The mystery is very much what drives it, as slow reveals and misdirections fill the plot. The final revelation is highly shocking and extremely dark. While the shock of the ending cannot be re-experienced, the emotional and thematic qualities remain on a rewatch, making this an exceptionally strong horror film. As well as The Innocents, The Others also owes a lot to M. Night Shyamalan’s breakout thriller, The Sixth Sense, particularly in relation to its famous twist. The depiction of ghosts as unaware people stuck between life and death is incredibly powerful, as is the idea of one young boy being able to see them. The Sixth Sense will likely forever be remembered as the movie where Bruce Willis is dead the whole time but there are many other elements of the film also deserve appreciation, such as Haley Joel Osment’s performance, the mother-son relationship, and the many brilliant moments like when a father is shown a video of his wife essentially killing his daughter. The Conjuring presents exquisitely crafted scare after exquisitely crafted scare. A scene that individually belongs with the very best of horror cinema involves a character seeing ‘something’ in the corner of her bedroom. What makes this scene so brilliant, and terrifying, is that we can see nothing, as she distraughtly stares at the empty corner. Through expert direction and a chilling performance, this scene makes an empty corner of a bedroom the scariest thing in a movie featuring demonic witch spirits. It’s through this craft, as well as a strong commitment to the film’s many characters, that James Wan is able to turn what might have otherwise been a generic haunted house film into a modern horror classic. With a list on ghost movies, haunted houses are likely to feature pretty heavily. With Beetlejuice, the haunted house story is presented from the perspective of the haunters (in some ways, similar to The Others). These haunters are the recently deceased Adam and Barbara Maitland, who hope to scare away the new owners of their home. Like Ghostbusters, Beetlejuice utilises the comedic potential of the concept of ghosts. It is extremely playful with the idea of haunting a house, as some of the ghosts’ methods include possessing the new homeowners and making them perform a song and dance. Another brilliant aspect of this playful approach is the way in which the family is never really scared by the ghosts’ efforts..
Poltergeist sees a family’s suburban home haunted by some hostile ghosts. This iconic 80s horror film features some of the most fun visual effects of its time, which hold up quite well today. Despite being scary at times, Poltergeist always has a kid-friendly nature to it, not unlike some of Spielberg’s work from the 80s (making the strong rumours that he in fact ‘ghost-directed’ the film seem plausible -he did at least write and produce). This Korean horror film, directed by Jee-Woon Kim, is heavy on style. A terrifying ghost occasionally interrupts a dark, absurd and tension-filled family drama. Two sisters – one of which has been in a mental institution – return to their family home, where they live with their father and step-mother. The ghost in the film can be extremely frightening when it does appear, though it doesn’t happen often. What these rare appearances do is fill the low-key, even relaxed scenes, with a hugely unsettled feeling. There is also a twist at the end of this one, in what at first might come off as cheap and predictable – however tragic – but on a closer look proves to be a very clever subversion of the tired ‘evil step-mum’ archetype. In what may be the definitive haunted house (or haunted hotel) film, a family moves into a hotel for the winter, where an evil presence is quickly discovered. More than any film on this list, the hotel in The Shining, and all the evil within it, feels like another character, as the constant tracking shots make it feel as though it is gradually closing in on the family, particularly Jack. From the tension filled and slow paced beginning, with terrifying images like the twins, to the all out, ghost-filled, over the top ending where Jack Nicholson shows zero restraint, The Shining more than earns its title as a classic. There’s really not much to say that hasn’t already been said better by somebody else.